My first art gallery experience was to the National Gallery of Art in Washington DC. In particular, I remember viewing the art at the East Building. The East Building houses the museum’s modern and contemporary art collection. I was amazed by the bright colors of Kandinsky and Matisse, the splatter paintings of Jackson Pollock, and Giacometti's sculptures. I decided then that I wanted to be an artist when I grew up. I remember trying to make my own version of Number 1, 1950 (Lavender Mist) using crayons. 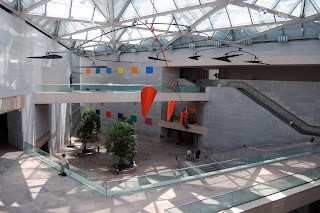 In this blog post, I plan to share some of my early favorites from the National Gallery. 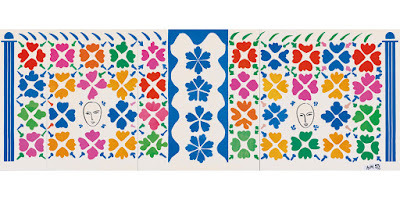 Henri Matisse used a cutout technique in which he cut sheets of paper painted with gouache in meticulously mixed hues. He used a pair of scissors to transform painted paper into plants, animals, and figures. These ensembles allowed him to continue creating art despite his failing health once he reached in his early 70s. 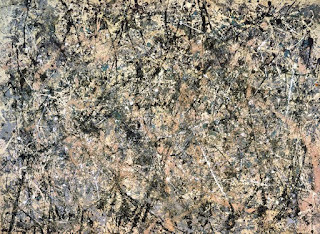 Jackson Pollock developed his monumentally influential "poured" paintings by dripping and flinging intricate layers of paint all over his canvases. His used unstretched canvas that was laid on the floor of his studio. This method introduced gravity, velocity, and improvisation into the artistic process. Line and color stand alone, functioning entirely independent of form. 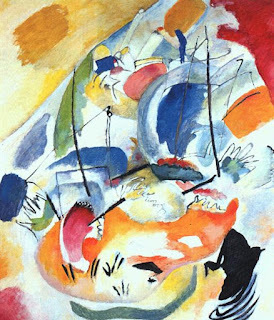 A pioneer of abstract modern art, Wassily Kandinsky believed that the act of painting was deeply spiritual and transcended cultural and physical boundaries. His abstract style allowed for conveying human emotions and ideas.